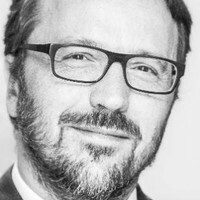 Michelangelo Cicogna has significant expertise in the field of Alternative Dispute Resolution (ADR) and has acted both as counsel and arbitrator in administrated and ad hoc procedures according, among the others, to the rules of ICC International Court of Arbitration, ICSID, UNCITRAL, Milan Chamber of Arbitration and the Permanent Court of the Hague, dealing with complex litigation, including multiparty and parallel arbitrations, and mainly focusing on construction, procurement and infrastructure, insurance, IT and telecommunications, JV and consortia and commercial law. Author of numerous publications on arbitration and mediation, he teaches Advocacy in International Arbitration at Luigi Bocconi University and holds seminars and conferences on ADR and international arbitration. He is a member of the ICC Commission on Arbitration, past president of the AIJA International Arbitration Commission and Vice-Chair of the Arbitration Committee of the ABA Section of International Law. He is co-founder and past Co-Chair of ArbIt (Italian Forum for Arbitration and ADR).